Nicosia (Cyprus), Sept 3: President Ram Nath Kovind on Sunday praised the Indian community in Cyprus for strengthening people-to-people relations between the two nations. Addressing the Indian Community here, the president said, "India is proud of its diaspora and their achievements. They are true cultural ambassadors of India and will deepen our ties with Cyprus." 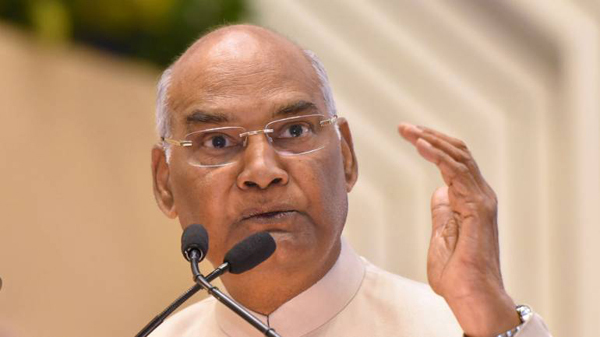 Kovind arrived in Cyprus on Sunday on the first leg of his three-nation visit to Europe to continue India's high-level engagements with European countries. The president and his wife arrived at the Larnaca International Airport. They were received by Georgios Lakkotrypis, Cyprus' Minister of Energy, Commerce, Industry and Tourism. Apart from Cyprus, Kovind will also visit Bulgaria and the Czech Republic.